The largest of the Bowerbirds, builds an 'avenue' type bower, assiduously decorated and maintained. 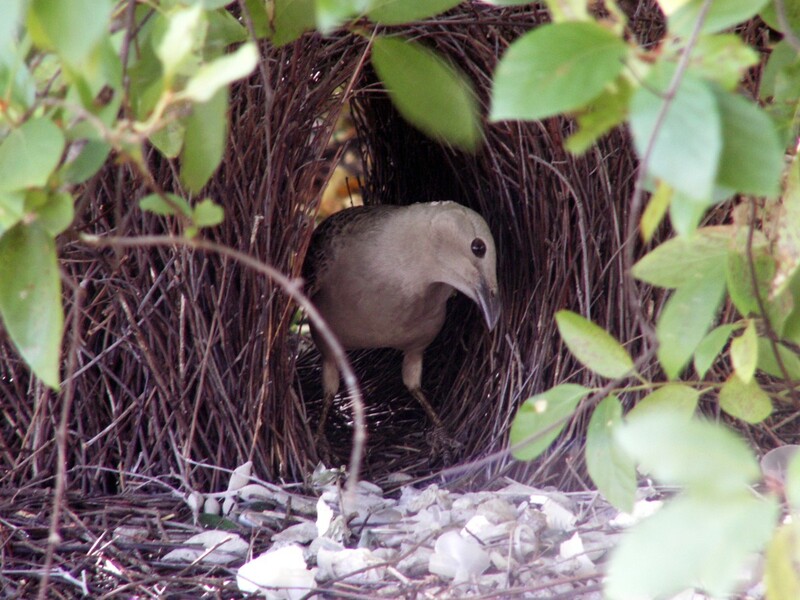 The Bowerbirds are most 'artistic' of birds, capable of arranging their bowers in a precise orderly fashion to achieve a desired effect. 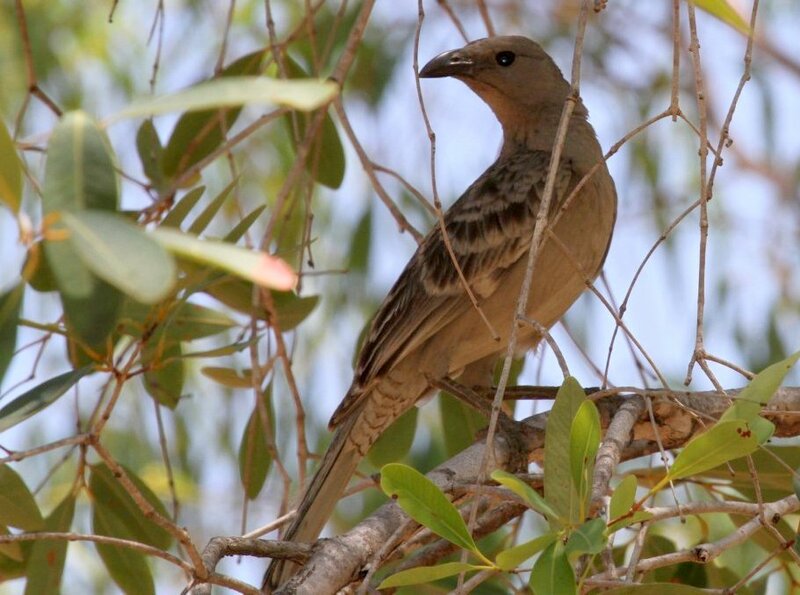 Both male and female Great Bowerbirds are accomplished mimics. 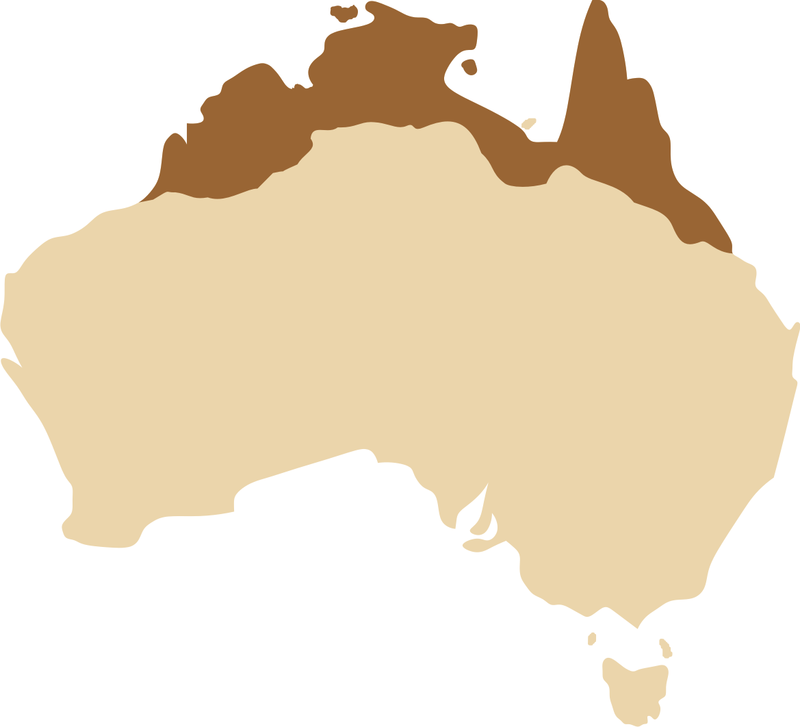 The Great Bowerbird's range takes in tropical savannah country north of the 20th parallel. Fruits from native fig trees and exotic plants, flowers, nectar, seeds and green vegatables. Also insects and arthropods. Polygynous breeders.Male builds a bower (see photo) to attract females, who nest, incubate and feed young with no assistance from the male. Young males frequent successful bowers for some time before building their own bower. Bowers are decorated assiduously and male attends his bower with song, explosive hissing, churring and mimicry, especially when a female is present. Habitat – Savannah woodlands, riverine forest and mangroves, parks and gardens. Will frequent bird baths. 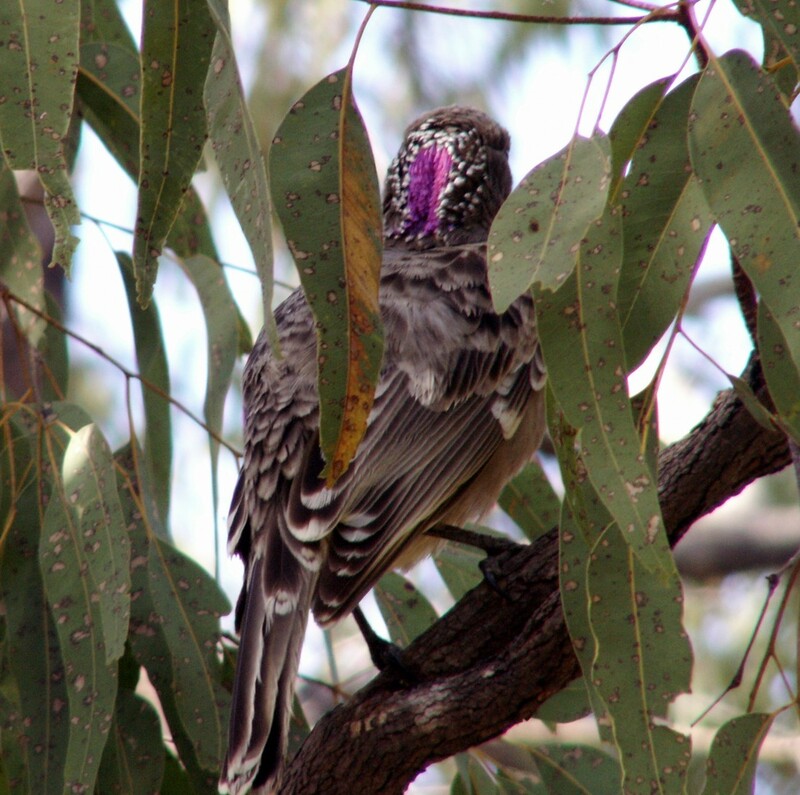 Best place to see - Fairly common bird in the Top End and around Darwin. Often seen in gardens around the city.